Again for sale: 20 wiring. All wiring sold here complies with all regulations regarding Automotive Wiring. I offer you Lifetime guarantee. D is the tenth digit in this case. What's the yours? It's in the small window on the windshield. Indicates the year of manufacture. During the months of July and August it is highly probable that I'll be on vacation. It's possible (logically) that I don't reply to your wiring request during these months. I'm sorry. For those with BCM Max from factory 7H0937089/90 , or BCM 6R0937088 D/F, or BCM Max (7E0) installed like from factory. For those with a BCM from factory 6R093708X. X=5/6/7. You need a BCM Max (7H0937089/90 or 7E0937090), Light Switch Auto, Rain Light sensor. And another large number of examples. Read this page in its entirety, it will be very useful for you. Automatic headlight activation ensures optimum vehicle lighting at all times, without the driver having to switch the headlights on or off manually. The system offers the driver a significant gain in terms of convenience and safety. The headlights are automatically switched on by means of a dusk sensor as darkness sets in, or when driving through a tunnel in the daytime. 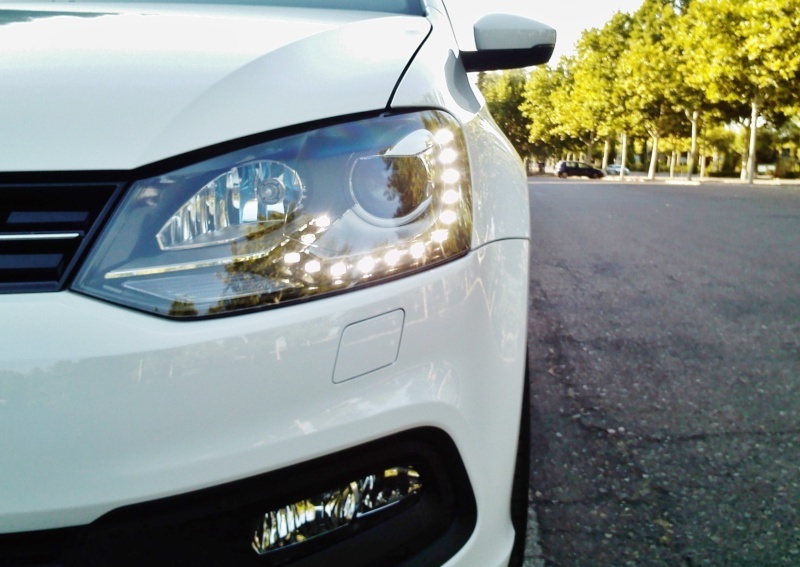 But the headlights are also activated in rain (continuous wipe for more than 5 seconds) or at high speed (at speeds over 140 km/h for longer than 10 seconds). When the speed drops again or the wipers are switched off, the system automatically deactivates the headlights after a short time. In this way your own vehicle is more easily seen by other road users. When the occupants leave the vehicle, the dipped beam headlights, the courtesy lights in the exterior mirror housings, the tail lights and the number-plate lighting initially remain on and are switched off automatically after a delay period (coming home). The same lights are switched on when the driver unlocks the doors with the radio remote control (leaving home). In this way the car’s own outside lights help to illuminate the way to and from the door of the house whenever you arrive or set off in the dark. Light Assist provides comfort and safety on the road by means of automatic main beam control. A camera on the interior mirror observes the traffic. Above 40 km/h and in complete darkness, Light Assist automatically switches on the main-beam headlights. The system detects vehicles travelling ahead and oncoming traffic, and automatically dips the headlights before they are dazzled. Last edited by ciclo on Sat Apr 22, 2017 5:24 pm, edited 14 times in total. Do you still sell this items? Please, you can provide me more information from your GTI. Is it possible to send this information via PM? Please can you send me another email address? (in case you have another). It seems that your email server is not working properly. Since yesterday I sent you a lot of information. I receive messages from my server that say the emails cannot be delivered. Maybe you should empty the inbox of your email. It's seems like my email server has blocked/blacklisted your email address. I have now white listed your email. It it possible to try to resend all of your emails the last few days? Have you gotten any of my emails, or my payment? Ah! Now I understand, ...my email server also blocks and blacklists most emails from hotmail and other email providers. Do not worry about anything , from the first moment everything has been done with exquisite precision (like the thousands of times I did previously). I will resend all messages again with all the valuable information you need (the same info I sent you from the first moment). According to my calculations, you will receive the package this next week, on the terms and conditions you requested me. I just received and installed the auto light, and it works perfectly! I have to say this has been one of the best purchase over internet I have ever experienced. The customer service that I got from “Ciclo” is by far the best. I had some trouble with my email spam filter, it was set to too strong (totally my fault). After whitelisting the email, Ciclo resented all of the email from start. Thank you Ciclo for all of your help! Thanks to you, it was a great pleasure to deal with you. I'm here for whatever you need. ciclo wrote: Thanks to you, it was a great pleasure to deal with you. I am interested in a couple of things, can you please PM me to discuss. I would like auto headlights, auto washer, gas bonnet strut and some more. I have a 6C 2016, 1,0L MPI. I got the BCM Max + Auto headlights, CH/LH wiring set from ciclo and was able to successfully complete the installation. I have documented the installation in the below link. And a couple of videos in the below link. ciclo's support was phenomenal. The wiring looms were of very high quality. He prepared an extensive PDF document with very clear pictures of each wire set and instructions of where each pin should be connected. He also provided very good support email. It was because of this exceptional quality and support, I was able to complete this installation. Thank you ciclo for making this project a success! Asi2191 wrote: I am interested in a couple of things, can you please PM me to discuss. Hi, thanks for your interest in my wiring, but, this sale is only for 6R. Polo 6R and 6C are very different. You need a BCM Max (7H0 or 7E0), Light Switch AUTO, Rain Light Sensor. I might have already asked several questions about the wiring harness but need help with some more questions. I have already purchased pins and connector for Auto headlight switch. However I need your guidance/help with the wiring. I have created new topic and will add details requested by you. If I am not able to make wiring myself then I will request for your help in making the wiring.